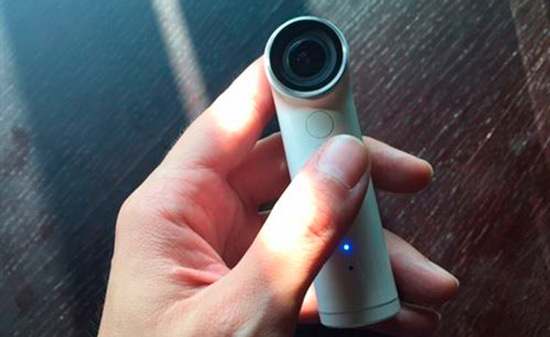 HTC is trying to re-imagine we take photos and videos getting into compact camera markets kind off like go-pros to be specific bringing in HTC RE : a device which they think is a better way to take photos than your conventional DSLR's out there! 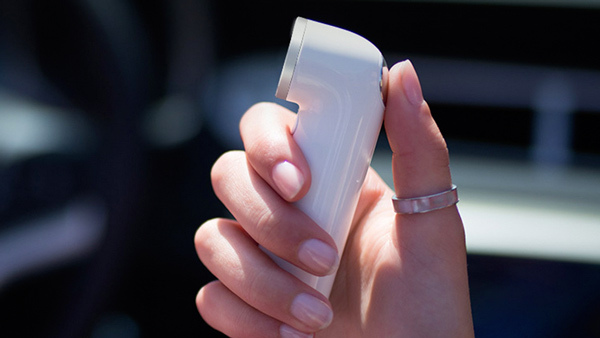 To be specific in first glance it looks like a kitchen pipe or an inhaler and bit weirdo like a submarine telescope , design wise it looks simpler easy to use equipment since lightweight and made of plastic it is usually better to grip in one hand , is portable and slim enough to fit in one's pocket easily ! Besides it's made entirely of plastic, even though is still sturdy, and should handle accidental drops good enough. Specifically it has a single microphone on the top , while having a silver button placement towards the thumb rest position with some LED's in built to let you know which mode you are in ! Red light lets you know that you are taking a Photo or recording a Video , Blue light tells you that you are shooting an Slo-Mo video , Behind lies a 16 MP CMOS shooter with a 146 degree ultra-wide angle lens , default aspect ratio lets you take 12mp photos while if need to take full resolution photos it sets the aspect ratio to 4:3 , ahh so your choice ! and has easy connectivity with both iOS and Android phones , below the camera sensor lies a button that let's you shoot Slow-Mo videos below that lies a led light as an indicator for taking selfie shots also below houses a loudspeaker , while at the bottom there's a Micro-usb port for Charging & a MicroSD slot that supports cards upto 128 GB , which is covered by a flap due to which Htc Re gets IP57 rating for resistance to dust and water, which means that it can be submerged in up to 1 meter of water for as long as for 30 minutes. 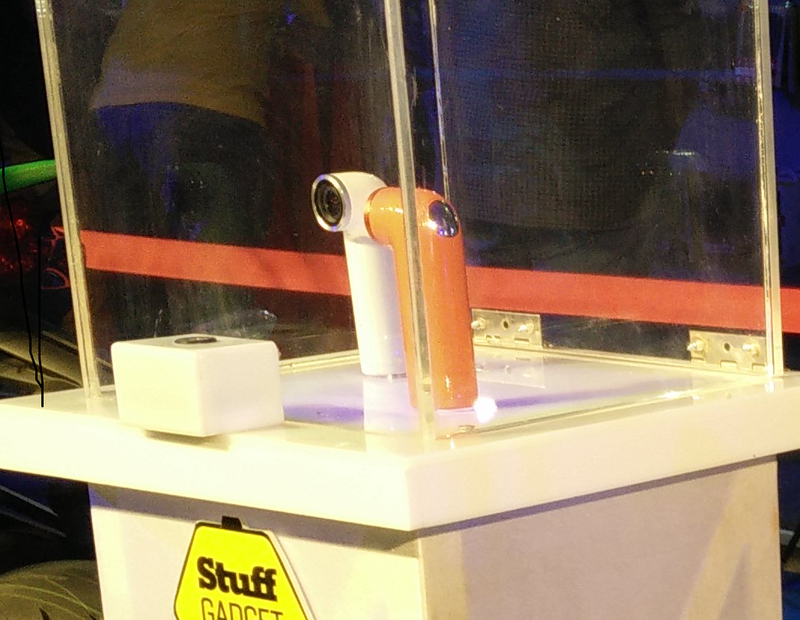 You can also mount Htc Re on a tri-pod to get that steady shot , but be careful you don't wanna get scratches due to plastic material being used . Well that was the software part how to control the software ? Well for that you need an android or Ios device ! basically the set-up process is done through the RE app available on play store here in case of android , it's just simple basic process run though an tutorial. Re app does alot in this case as you can view,delete and share the clicked photos from your Re Device through your smartphone ! The Re app offers customizations in video , camera and wide angle mode shooting capabilities of your device , plus it also offers integration with Htc Zoe App. It is available online via Snapdeal : Htc RE , so at the end of the day I still have mix impressions about thissince i didn't got a chance to play with it ! Do you think is this the major Incarnation in camera's we have been waiting for ? share in the comments below..